Part of motivating your child to brush their teeth is to make the activity enjoyable. Add some variation to their tooth brushing routine by flashing lights, adding music, or making up a tooth brushing dance. Some parents even pick a special song to play that is only played while brushing. You can even hold contests to see who can get their teeth the cleanest in two minutes. The key here is to be creative and find a way to have your child enjoy the activity. In order to make the activity of tooth brushing fun, it helps to let your children pick out some of the supplies they will need. Nowadays, many toothbrushes have popular cartoon characters that are appealing to younger children. Let your child pick out their own toothbrush (or brushes) in order to build their excitement and help them feel like they have control over the situation. If they feel like it is their choice, they may be more willing to participate. Another way to help make the activity of toothbrushing easier is to make it a routine. 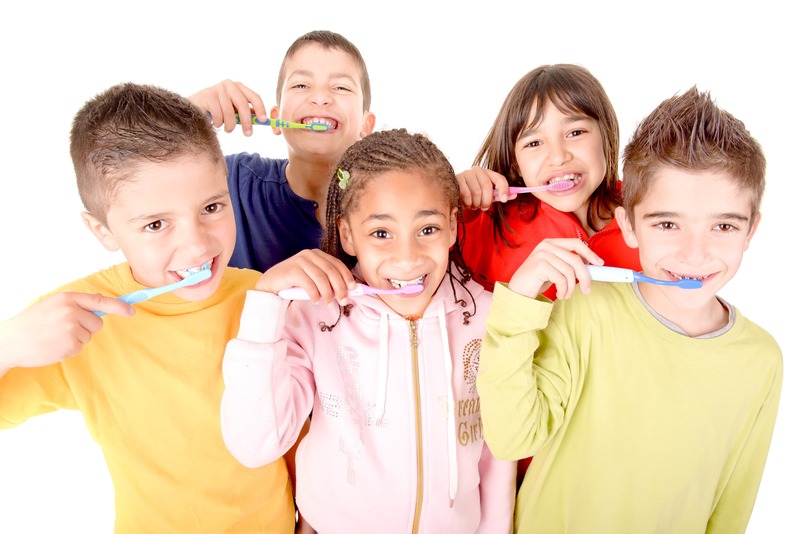 Children respond very well to routines and an organized, repetitive tooth-brushing routine will make the activity go much smoother. Although it can be hard to stay on track sometimes, prioritizing this routine will help to make the activity of toothbrushing a non-negotiable, automatic activity. You can also try making a chart and reward your child with a sticker every time they brush their teeth, which can make the routine positive. Children look up to their parents to learn certain behaviors, and tooth brushing habits are one of these behaviors. To help your children brush their teeth, let them watch you brush your teeth. This will help them to see that it is a normal, everyday activity, and it will also help them to learn the proper brushing technique. Plus, if you all brush your teeth together, it can become a social activity that they are more willing to participate in. Ultimately, no matter what techniques you use to motivate your child to brush, they should all be positive. Using fear tactics or punishments as a way of forcing your child to brush their teeth usually result in them forming negative associations with dental care, which can have serious consequences as they get older. Although it can be frustrating at times, try to keep the activity positive and be patient with your child as they learn how to correctly do this new activity.